� DL Sonic 444 succeeds in delivering low birth/high growth genetics with breed-leading carcass conformation and maternal traits that work under range conditions. 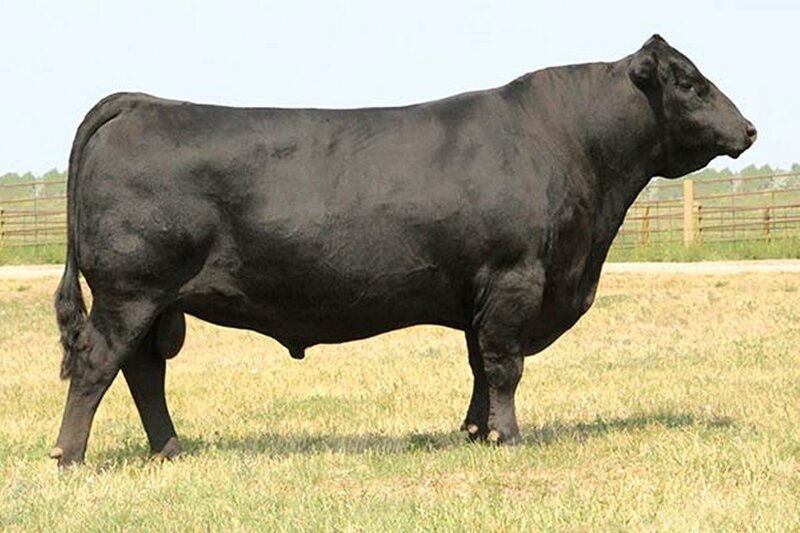 He was selected as the $38,000 high-selling bull in the 2015 Lewis Bros. Bull Sale in western South Dakota. � Sonic excelled at every checkpoint: BW 72 lbs., 205-wt 877 lbs., WWR 113, 365-wt 1,496 lbs., YWR 111. Adj. yearling scrotal measurements: 41.0 cm, Adj. %IMF 4.89, ratio 113, Adj. REA 15.6, ratio 110 out of a first calf heifer. He has great genomic numbers. Grandam�s production: 3 NR 110, 2 YR 109.